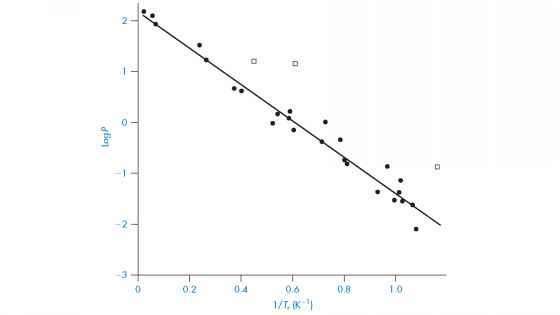 Figure 2.7 Graph of anaesthetic pressure P against the reciprocal of the reduced physiological temperature, Tr. Compounds not following the relationship (fluoromethane, perfluoromethane and perfluoroethane) are identified by the symbol □. Reproduced from A. Cammarata, J. Pharm. Sci., 64, 2025 (1975) with permission. That is, the relative lowering of the vapour pressure is equal to the mole fraction of the solute. 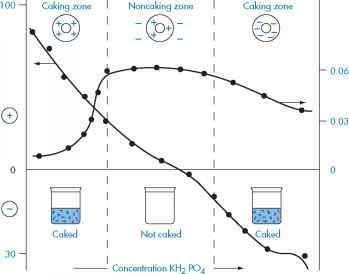 A direct consequence of the reduction of vapour pressure by the added solute is that the temperature at which the vapour pressure of the solution attains atmospheric pressure (that is, the boiling point) must be higher than that of the pure solvent. In Fig. 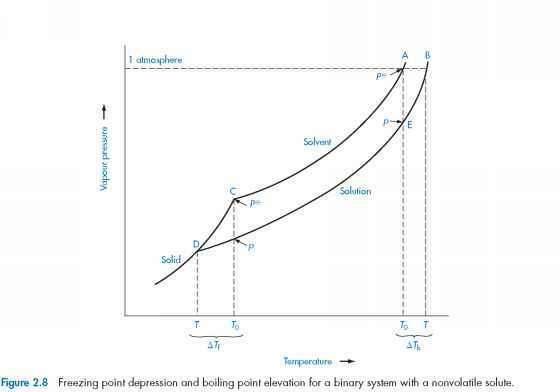 2.8, points A and B represent the boiling points of pure solvent and solution respectively. The boiling point is thus raised by an amount T - T0 = A Tb. A-E represents the lowering of vapour pressure, pe - p, by the solution. ATb = Kbm where Kb is the molal elevation constant, which has the value 0.511 K mol 1 kg for water.